A30 >A39 > A3059 following signs to Airport & St. Mawgan. Japanese Garden Brown & White Road Signs on A3059 and B3276. 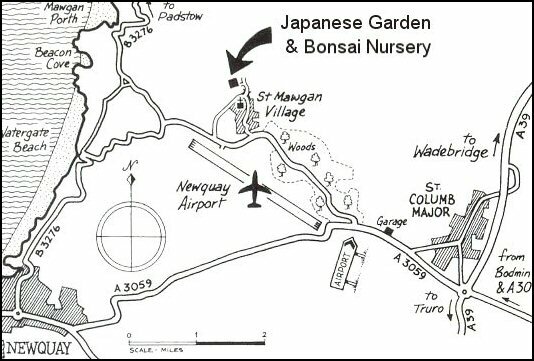 St. Mawgan village is directly below the Airport.